I really love anything with lemon. I always seem to be searching for recipes that will be more lemony than the last. 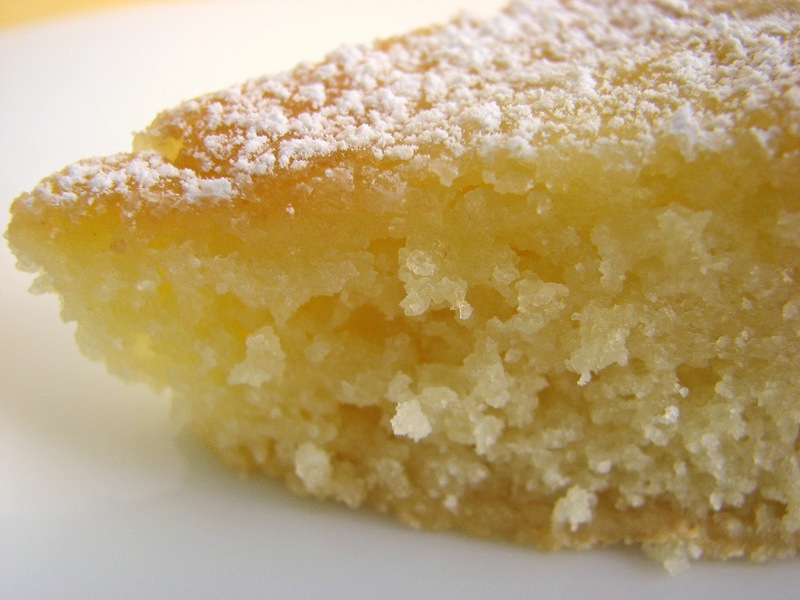 I’m often tempted to try and find ways to punch up the lemon flavor in just about any lemon pastry. The lemonier, the better. Well, I think I may have found the real deal. This Lemon Curd Cake from Emily Luchetti is the mother lode of lemony lemon at its lemoniest. Emily Luchetti is a famous pastry chef in this region, with good reason. Her recipes are terrific, fairly simple to execute and never fail to please. If you’ve tried her Goat Cheese Cake, you know what I mean. 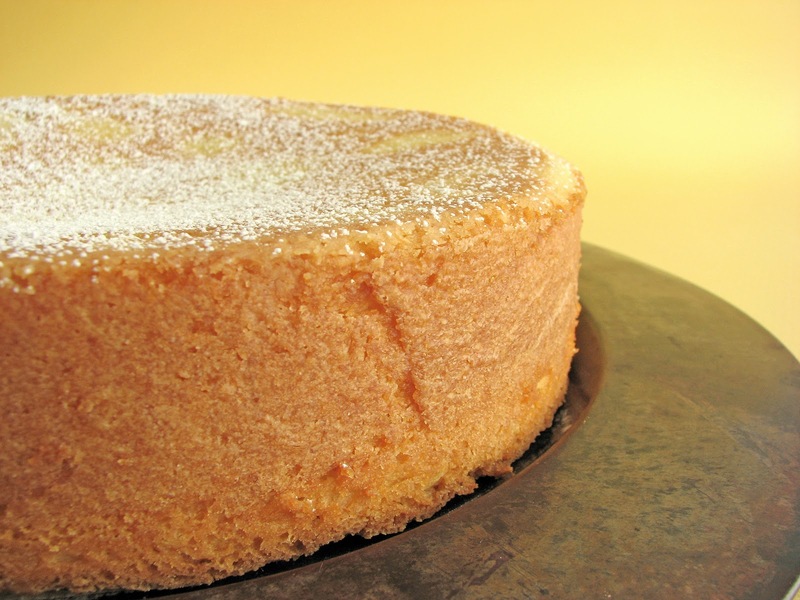 This cake has ingredients in unusual ratios and a very different method for mixing. It starts with a lemon curd, so that’s where the egg yolks go and where you get the richness. There’s very little butter, plenty of lemon juice and zest. The result is a very tart cake with a dense crumb that stays moist and delicious for days. It’s great all on its own, but especially wonderful with fresh raspberries and a dollop of soft whipped cream. Be prepared for a very tart zing. - Use only fresh lemon juice! The Lemon Curd can be made a day ahead, chilled overnight and brought to room temperature before mixing the cake. - You do need a cake pan with 3” sides to hold all the batter. - Sift the cake flour before measuring. - Egg whites will whip to greater volume at room temperature. - This cake will keep up to 3 days in an airtight container or wrapped tightly in plastic wrap. - I actually prefer the cake on the second day after it’s had a chance to mellow a bit. In a heatproof bowl whisk together 4 egg yolks and 2 eggs with a 1/2 cup sugar. Whisk in 1/2 cup lemon juice. Place over a double boiler or bain marie of simmering water, making sure the bowl is not touching the water. Cook until the curd thickens, stirring constantly. Beat together butter, lemon juice and lemon zest until thoroughly combined. Mix in lemon curd. Add dry ingredients and mix until just combined. Whisk the egg whites until frothy. Increase speed and when the egg whites begin to look opaque, slowly sprinkle in the sugar. Whip until the egg whites are shiny and form soft peaks. Gently fold the whipped egg whites into cake batter. Pour batter into the prepared cake pan and smooth evenly. Bake until a toothpick comes out fairly clean, about 50-60 minutes. Cool completely and turn out onto a cake platter. i am also a lemon freak. anything lemon i love. this cake looks so moist... i will definitely bookmark the recipe. thanks gayle! I love lemon curd cakes and your cake looks so fresh and yummy! This looks perfect. I cannot wait to try it. I absolutely love lemon curd. It is a divine gift from the gods. Your site is wonderful - and beautiful. I am a subscriber and read every post. I am a lemon lover and this looks like heaven! That does have an unusual method for a cake, but it sounds wonderful! OMG, please pass me a fork I need to try that lemon cake. Delicious looking! I am a huge fan of Emily Luchetti and this surely is a must-have for me! I just discovered your blog and it's beautiful! I'm honored to be included in your list of fellow travelers! ohh i love lemon! this sounds delicious, and that picture with the raspberries is gorgeous. they have the most lovely color! Lemon Lovers Unite! We must look after one another! I love lemon desserts too! Your bench notes are very informative! Gorgeous photos and very helpful notes. Your site is lovely. I love anything lemon and can't wait to try this one! I love lemon! This cake looks so delish! I love anything lemon and I have loved everything I have every tried by Emily Luchetti. Sounds like a winner. my mouth continues to water. I am loving this one! I love this book too! Great post! I made this cake this morning. I had a couple a problems with it though. The lemon curd has to be made in a glass bowl. If not it gets this metallic flavor to it and I did it twice. I think I overwhipped the egg whites. And I baked in a 325 oven for 60 min. and it was in liquid state so I guess it's better off in 350 oven. It has a good taste. I will make it again. I want it to come out perfect. Thanks for the recipe. I have made this cake TWICE and it is unbelievable - refreshingly zingy, an eye-opener after years of blah lemon cakes. It's a classic - thank you!!! Jennifer in BreadLand, thanks so much for your feedback. I'm so glad you enjoyed it. It's a pretty great cake if you're a lemon freak! Thank you so much for this recipe. I made the cake and loved it, but I am here to gush about your lemon curd recipe. 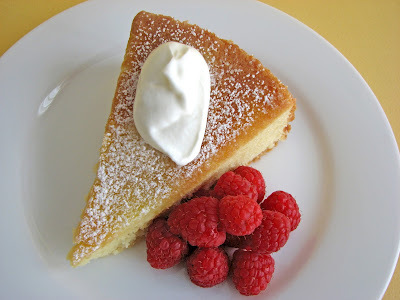 Up until I found it, I really struggled to make this creamy lemony love in my kitchen. The water bath really helped and skipping the "straining step" makes it approachable. Beth, thanks very much for the feedback. I love it when people master pastry techniques! Emily Luchetti is a fabulous pastry chef. Every recipe I've tried comes out great. Making this for dinner party tomorrow. Made curd yesterday, brought to room temp this morning. My egg whites with sugar didn't get to what I consider soft peaks after 10 minutes of whipping (no greasy beaters, no egg yolk in the whites, whites at room temp). Noted that someone said they raised the temp to 350 so I baked at 325 for 30 minutes and 350 for 25 minutes. Took out to test and there is a crust on top and a sunken batter underneath that is very wet. Taking it out and hoping for carry over heat to continue to "cook" the batter. Yvonne, it does sound strange that you didn't have soft peak eggs after 10 minutes. Sometimes it's impossible to see even a trace of fat that might get in the way. And every oven has its own mind so it can be trying to get it just right but with 55 minutes, it should be fairly baked through. 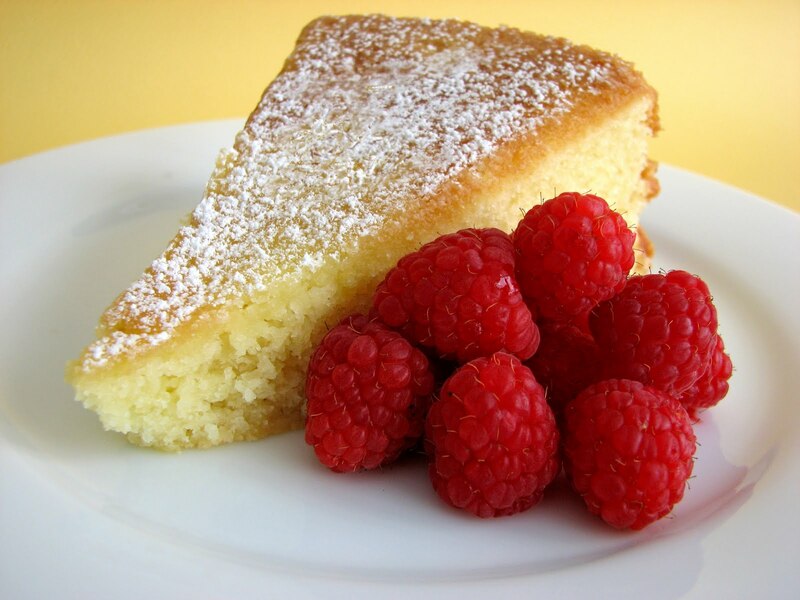 The cake does sink a bit in the middle, likely due to the sugar content that counterbalances all the lemon. In any case, I really hope this turns out for you. Emily Luchetti's recipes are usually very reliable. Please let me know if I can answer any further questions for you. I have continuously failed to make a moist zesty sweet lemon cake. I will try this one and post a review within a week. T! Cake turned out average. Not being a world renowned baker,I'm not sure if the problem was the baker or the recipe. I won't be trying this one again. My search for a moist sweet lemon cake continues.